Chicagossa eilen päättyneessä Star Wars Celebration -fanitapahtumassa järjestettiin juhlapaneeli 20-vuotiaan The Phantom Menace -elokuvan tiimoilta. Paljon parjausta osakseen saaneen Star Wars -leffan ohjaaja osallistui paneeliin videotervehdyksellä. Lyhyessä puheenvuorossaan George Lucas kertoi suhteestaan Episode I:een eli The Phantom Menaceen. Thank you for coming to the Celebration. 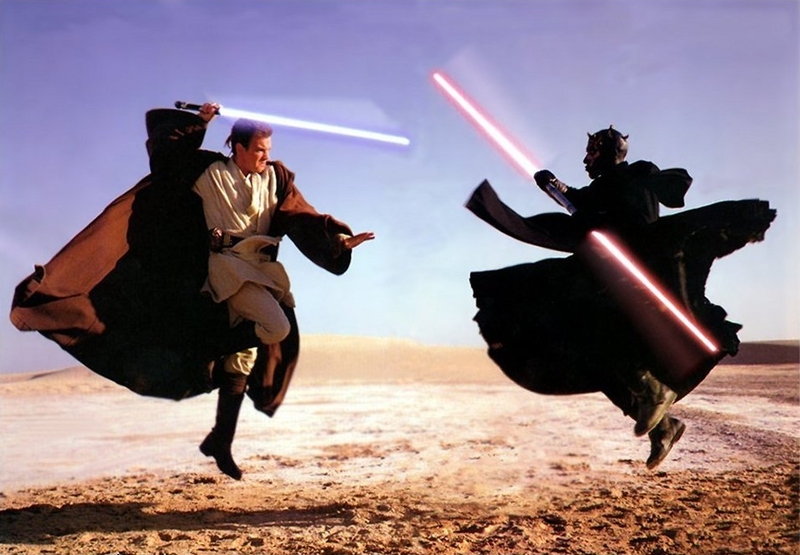 [The Phantom Menace] one of my favorite movies and of course Jar Jar is my favorite character. Ahmed [Best], you did a fantastic job. It was very very hard. Also for John Knoll and all the guys at ILM, I made it impossible for them. We broke a lot of ground. We were using test equipment but it was the beginning of digital, even though we didn’t get to shoot the whole thing digitally, we got to shoot part of it so it was really one of the first digital features and I’m very proud of that. The fans are always such a big part of these films and obviously those of you who are here are the fans of Episode 1 and I love each and ever one of you. Vuonna 1999 moni vanha Star Wars -fani suhtautui The Phantom Menaceen hyvin kriittisesti, ja Jar Jar Binksiä pidettiin suurin piirtein helvetin suurlähettiläänä maan päällä. Sittemmin suhtautuminen on lieventynyt, ja etenkin moni 2000-luvun alussa syntynyt suhtautuu elokuvaan suopeammin. Alla koko Star Wars -aiheinen paneeli. George Lucasin osuus alkaa kohdassa 1:01:50.